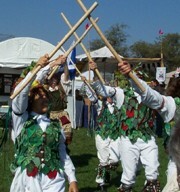 Who: Hosted by Apple Tree Morris. Why: Spring time in rural Sonoma County? What's not to like? May 14, 2017 - We've added details about places for Friday dinner, what to bring, and Saturday night entertainment. May 12, 2017 - Tours added to the schedule page along with Friday dinner suggestions before you get to camp, and details about Saturday night skits. April 30, 2017 - Check out the official Qu'Ale T-shirt on our merchandise page. Be sure to pre-order by May 10. April 13, 2017 - Finally got the list of mass dances. March 20, 2017 - Sorry, no online payment option this year. Meanwhile, early registration rate extended 1 week to April 22. March 9, 2017 - Registration is officially open! March 5, 2017 - Site and registration info now available. 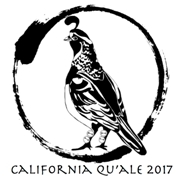 February 26, 2017 - We have a (new) name, California Qu'Ale (not to be confused with this). June 18, 2016 - Dates announced for the 2017 ale. Hooray! Initial ale Facebook page set up. The California Morris Ale has been a spring (April-ish) or summer (August-ish) time tradition for over 25 years. It's a gathering of morris teams from throughout the state, the west coast, across the U.S., and internationally as well (we love to host our U.K. comrades). 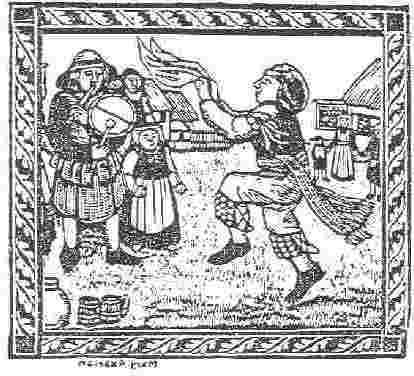 We gather to dance, perform, and generally carouse, while sharing in that peculiar recreation known as morris dancing. Since the host, location, and website for the ale moves from year to year (usually back and forth between northern and southern teams), this website exists so that folks can always find the latest information by starting from the same place. Check our history page to track the travels of this moveable feast.